With the simplicity of one touch design all your sterilization and drying needs are fulfilled. 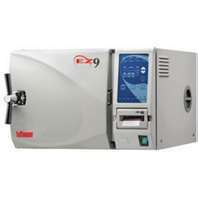 The Tuttnauer EZ9 fully automatic autoclave will fill, sterilize, exhaust and dry at the touch of a button. FEATURES: "Closed door active drying system to maintain sterility and ensure efficient drying of packs and pouches. "High efficiency air pump circulates hot air after the sterilization cycle for fast drying. "Hepa filter 0.2 µm air filter (replaceable). "Pre-loaded cycles for: unwrapped instruments, wrapped/packs, glassware and additional drying cycle. "All program parameters can be customized and stored. "Automatic shut off at the end of both the sterilization and dry cycles. "Audible and visual cycle interruption alert. "Double safety locking device prevents door from opening while chamber is pressurized. "Low water sensor prevents activation of sterilization cycle when there is insufficient water in the chamber or reservoir. 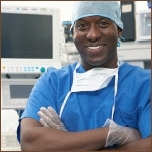 "Constant monitoring of temperature and pressure for sterilization. "Power outage recovery system. "Door design prevents steam from coming in contact with control panel. "Optional internal printer documents: date, time, temperature and pressure. "510k clearance for dental handpieces. "Drain valve is located on the front, allowing for quick and easy draining of water reservoir. "International certifications.